Michay is a native of Patagonia, the southernmost end of the South America containing parts of Brazil, Argentina and Chile. Like calafate, it is also a symbol of Patagonia. 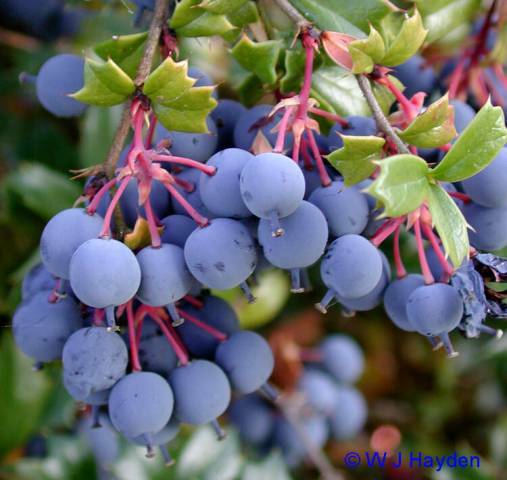 There is a popular belief in that area that anyone who tries a berry is certain to return to Patagonia. 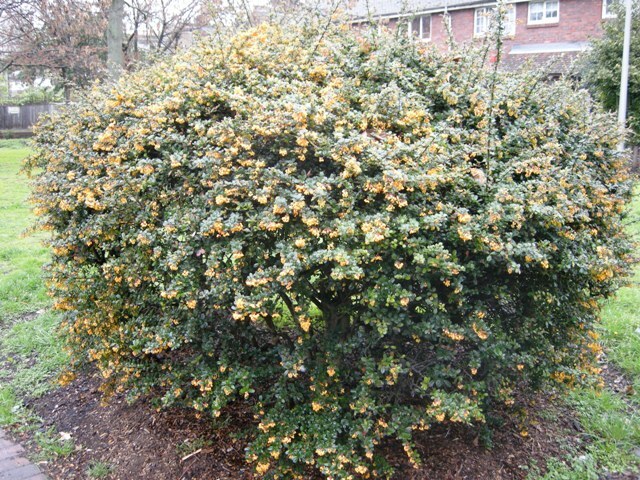 A small bushy shrub, about 3 m high. Flowers bisexual, yellow orange and attractive; blooming is very profuse and the entire plant is covered by flowers at the time of blooming. Berries are eaten. These are also used for making jams aand infusions. Michay is commonly grown as an ornamental for its striking yellow/orange flowers that cover the plant during spring. Michay grows well both in sun and shade. 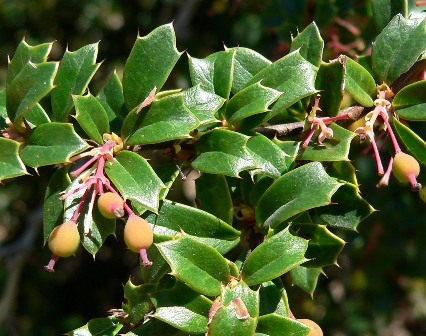 It is a very hardy plant and can survive temperatures well below freezing (10-15F). Though michay prefers moist soils, but will grow even on even poorer soils. The plants, however, have to be watered all the year round. The propagation is by seed and the underground runners.